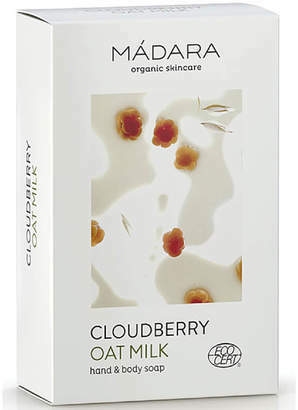 Treat your skin to the caring properties of MÁDARA Cloudberry & Oat Milk Hand & Body Soap, a botanical soap formula that works to cleanse, calm and comfort skin. 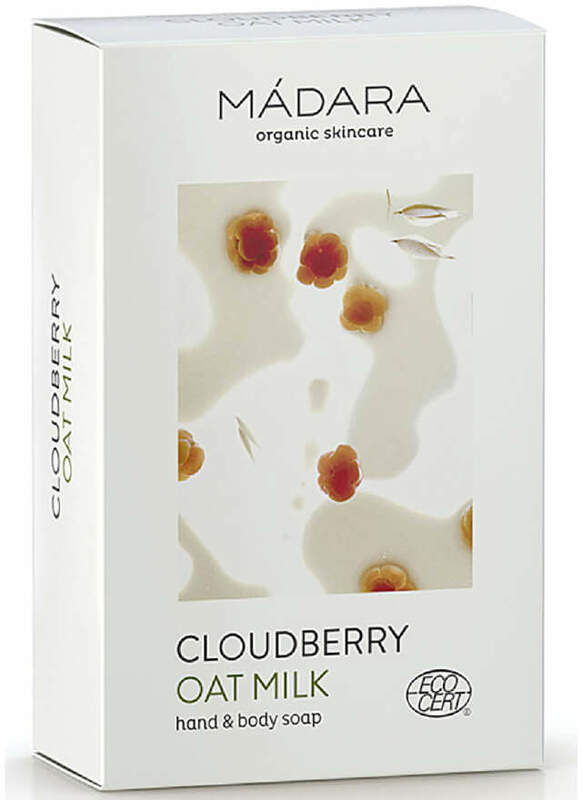 Formulated on a botanical base, the hand and body soap is infused with Oat Milk Proteins and vitamin-rich Northern Cloudberry to gently cleanse skin of impurities. 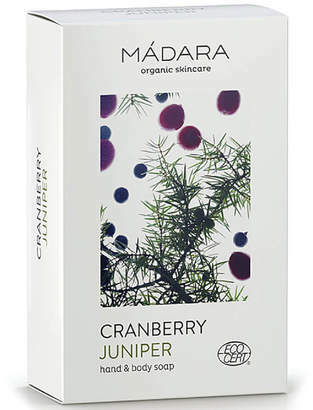 Its synergy of Jojoba Oil and hydrating Plant Sugars nourish and care for skin. Certified ECOCERT. Natural and Organic. vegan. Free from gluten, nuts and animal cruelty.